Elisabeth Moss (“The Handmaid’s Tale”) and Claes Bang (“Sibel & Max”) star in Palme d’Or winning dramedy “The Square,” available on DVD and Digital HD on Tuesday Jan. 30. Christian (Bang) is the respected curator of a contemporary art museum, a divorced but devoted father of two who drives an electric car and supports good causes. His newest exhibition is “The Square,” an installation which invites passersby to altruism, reminding them of their role as responsible fellow human beings. But sometimes, it is difficult to live up to your own ideals: Christian’s foolish response to the theft of his phone drags him into shameful situations. 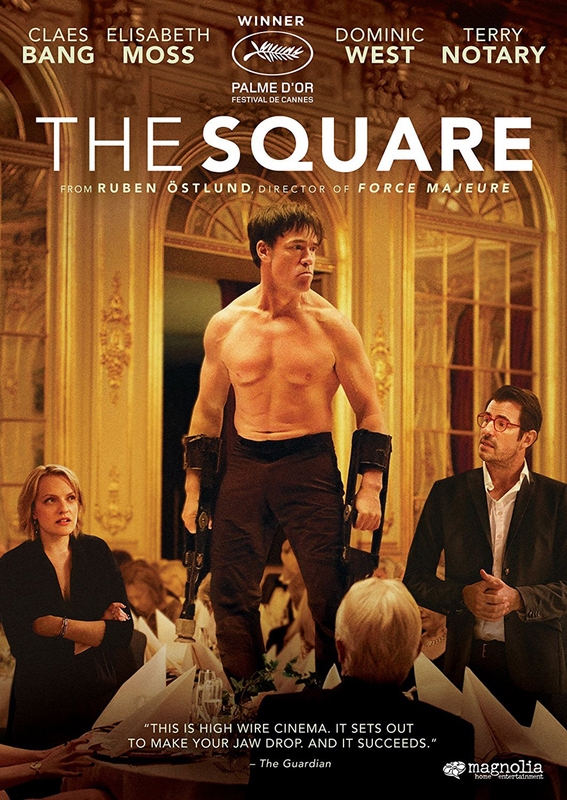 Meanwhile, the museum’s PR agency has created an unexpected campaign for ”The Square.” The response is overblown and sends Christian, as well as the museum, into an existential crisis. Bonus features include a “Behind the Monkey Man Scene,” “Casting Tapes,” a behind-the-scenes photo gallery and the theatrical trailer. Also debuting on Tuesday Jan. 30 is the gritty Australian crime series “East West 101, Series 1,” from Acorn TV, an RLJ Entertainment brand. The acclaimed series stars Don Hany (“Serangoon Road,” “Janet King, Series 3”) as a devout Muslim in a post-9/11 world, trying to prove himself as a detective to overcome society’s fear and suspicion. Set around the Major Crime Squad in metropolitan Sydney, this thrilling series is based upon the experiences of actual detectives in a crime unit in Sydney’s western suburbs and deals with the clashes of culture, socio-economic statuses, and religious tension in Australia. The DVD two-disc set features all six episodes, plus bonus behind-the-scenes featurettes. It is available for a suggested retail price (SRP) of $39.99, Amazon.com. In addition to being available to purchase on DVD, “East West 101” can be viewed by subscribers to Acorn TV. 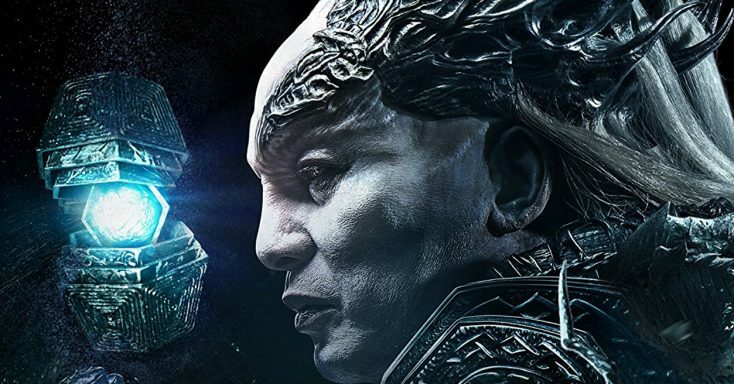 A fascinating 23-minute behind-the-scenes featurette is included. The magical adventure “Legends of the Naga Pearls,” debuts on digital, Blu-ray and DVD Tuesday Jan. 30 from Well Go USA Entertainment. After being defeated by humans centuries ago, the Winged Tribe has lost their ability to fly. Seeking vengeance, a royal descendant of the tribe has begun searching for the magical Naga Pearls, which he plans to use to destroy the humans. When the legendary pearls fall into, and then out of, the hands of Heiyu, a wily human street punk, he must join a team of unlikely heroes as they race to prevent the destruction of their people in this magical fantasy adventure from China. Helmed by first-time feature film director Yang Lei, “Legend of the Naga Pearls” stars Darren Wang (“Railroad Tigers”), Crystal Zhang (“The Founding of an Army”), Sheng Guansen (“City Monkey”), Simon Yam (“The Midnight After”) and Xing Yu (“Call of Heroes”). Front Row Features wants to take you on a magical adventure, that’s why we’re giving away a copy of the dazzling Chinese fantasy film “Legend of the Naga Pearls” on Blu-ray to five lucky readers. To enter the contest, simply email socalmovieeditor@aol.com by Feb. 5 for your chance to win. Good luck! Next PostPhotos: ‘The Square,’ ‘East West 101,’ More on Home Entertainment … Plus a Giveaway!! !